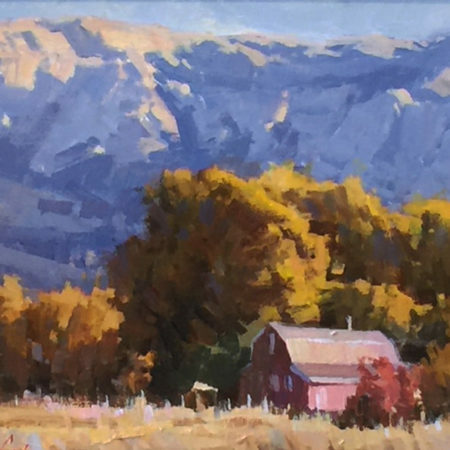 Raymond Gibby grew up in Southern California in the foothills outside of Riverside. 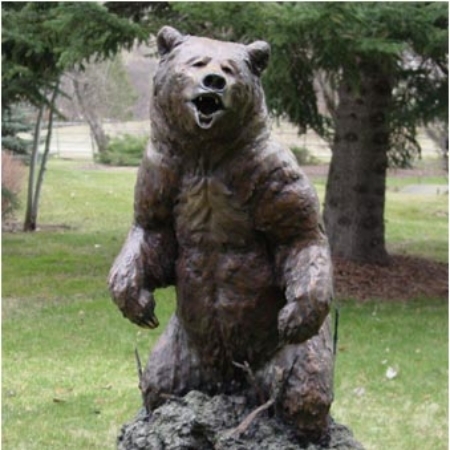 As a child he developed a love of the outdoors and wildlife. 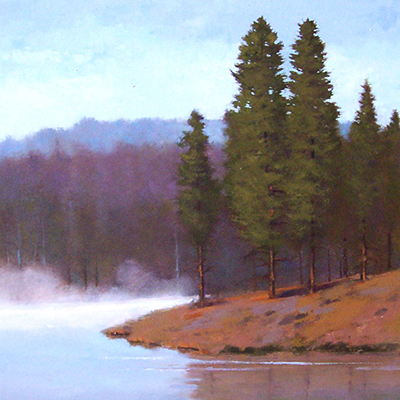 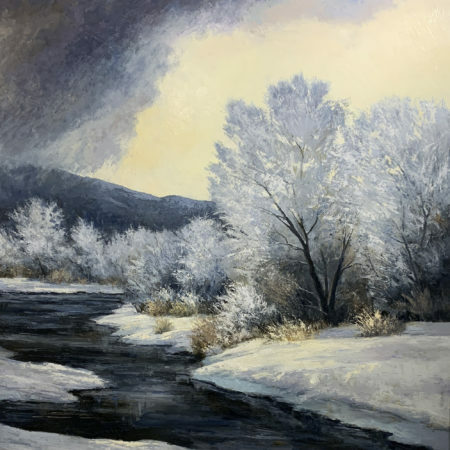 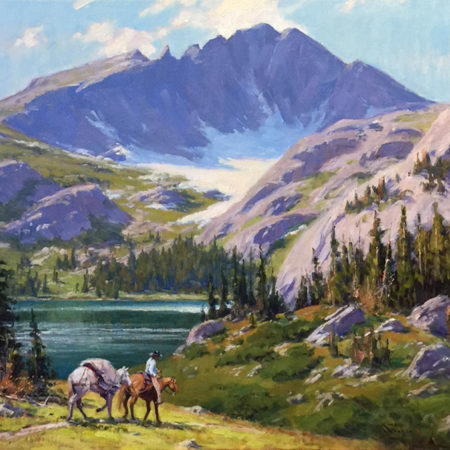 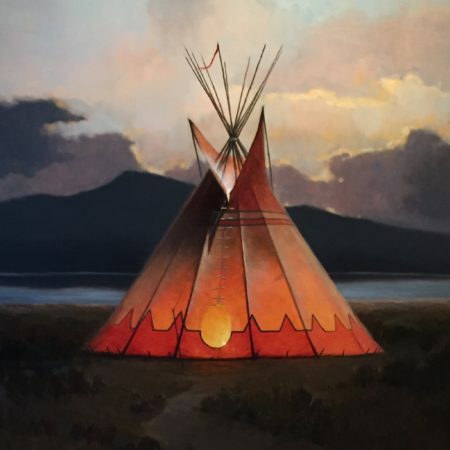 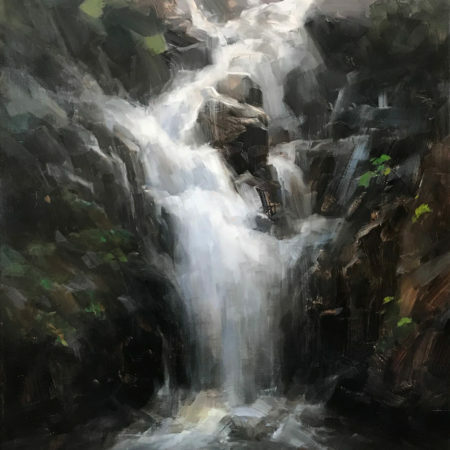 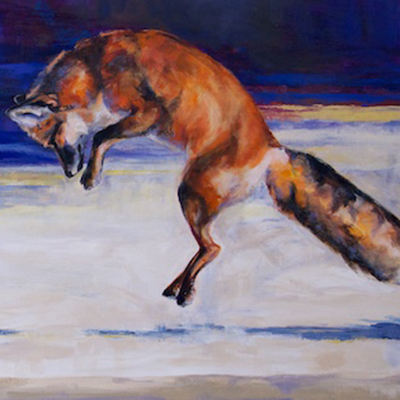 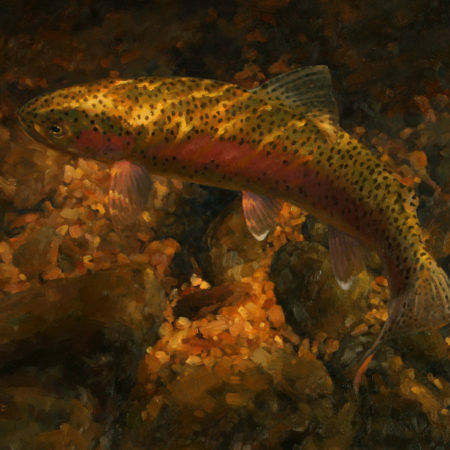 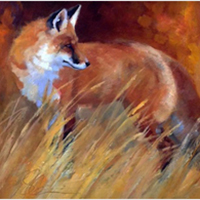 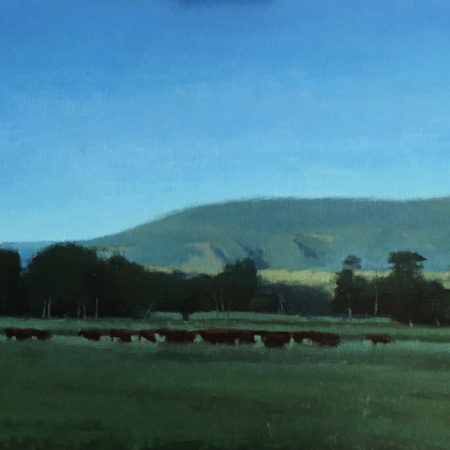 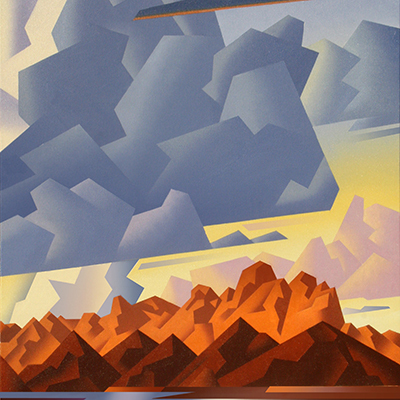 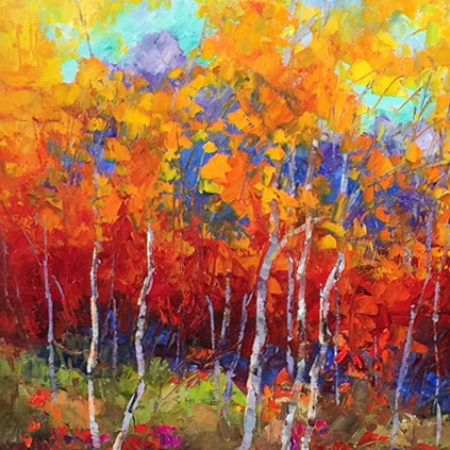 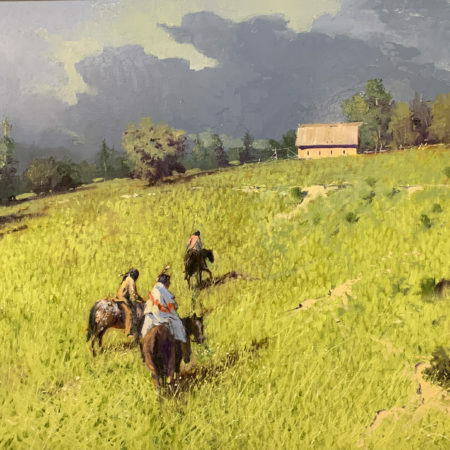 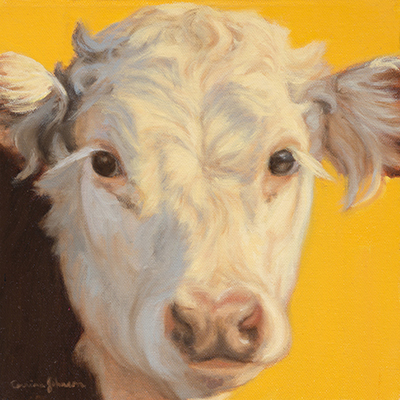 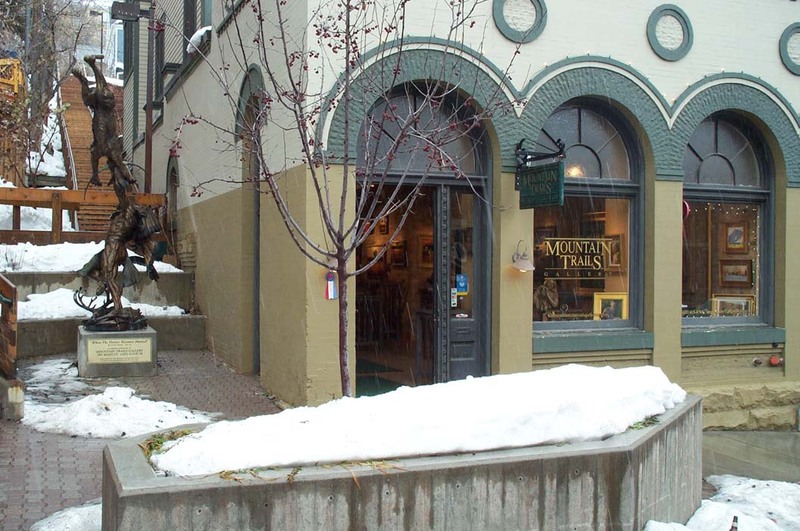 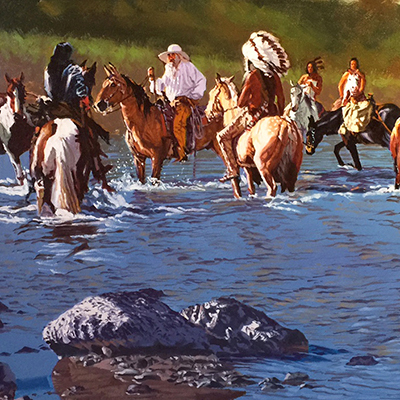 His grandfather was an accomplished landscape and wildlife oil painter from Utah, so it seemed only natural for him to follow in his footsteps and move to Utah himself. 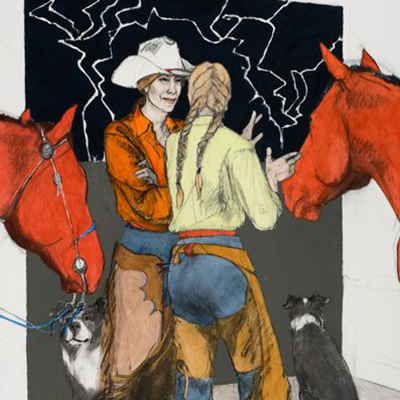 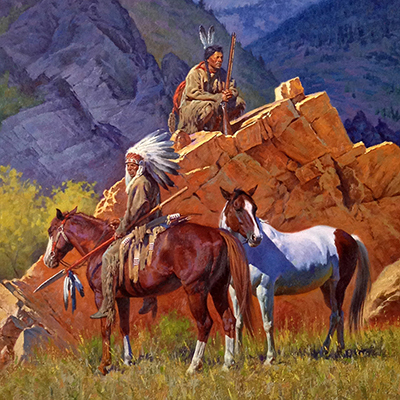 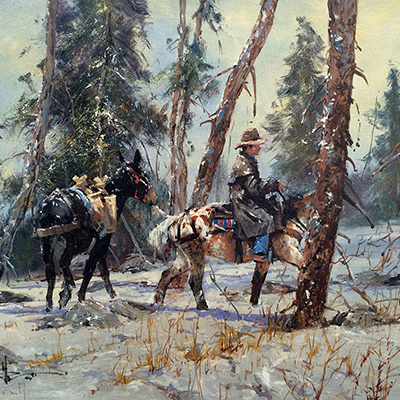 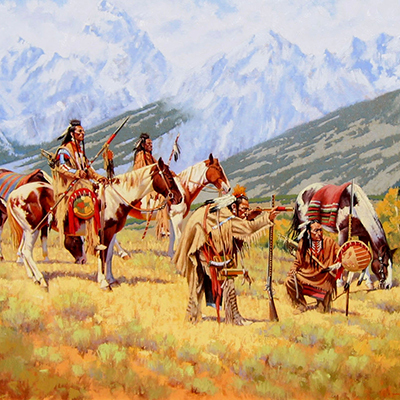 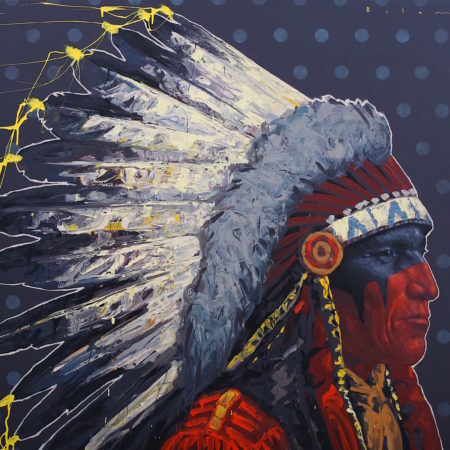 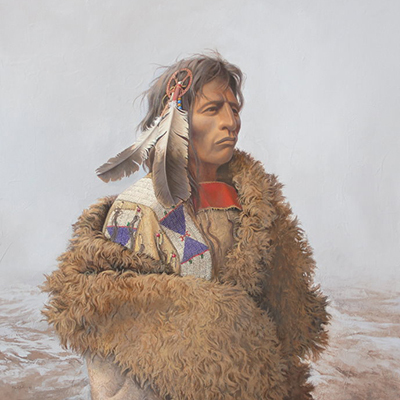 His grandfather tutored him as he began drawing outdoor subject matter and Native American portraits. 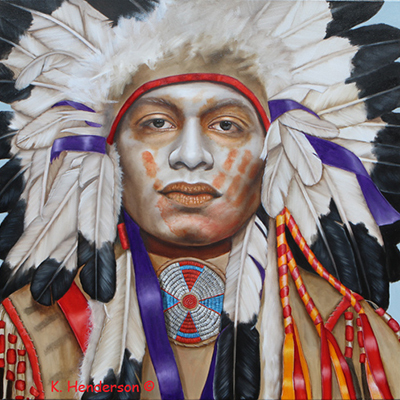 After four years of high school art instruction Raymond received further art training from a professional artist. 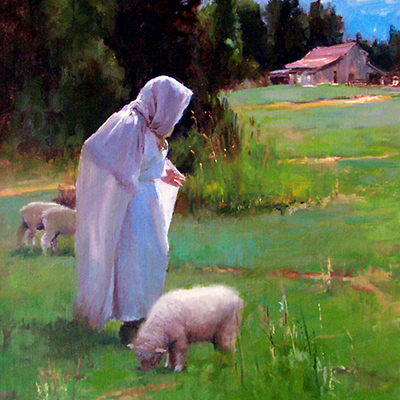 She, as well as his high school art teacher, encouraged him to make art his career. 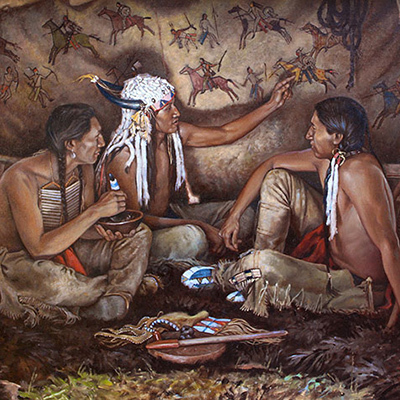 At 18 years of age Raymond produced his first limited edition lithograph and began marketing himself and his art work. 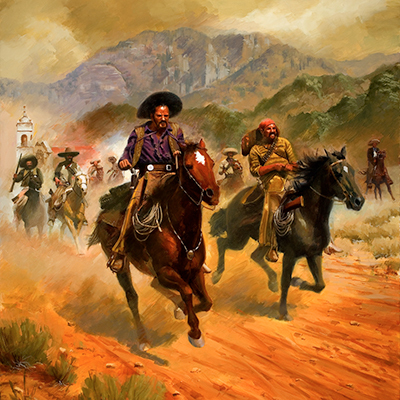 With a desire to share his good fortune he earned enough money to move to Puerto Rico and do service work for two years. 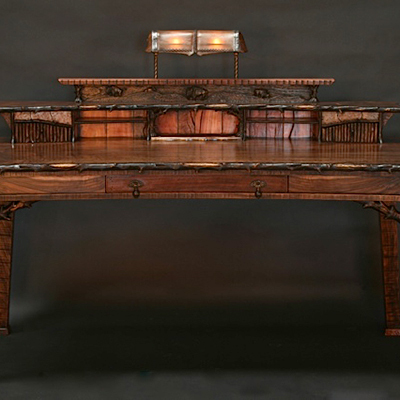 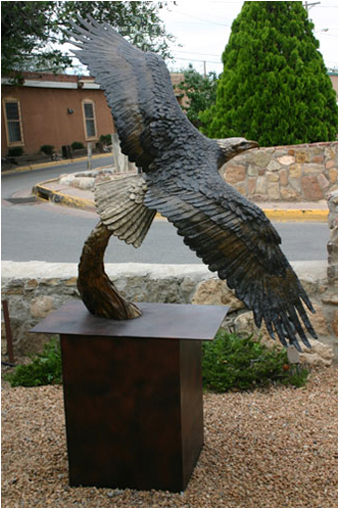 Upon returning home he immediately began doing commercial sculpture and commissioned paintings. 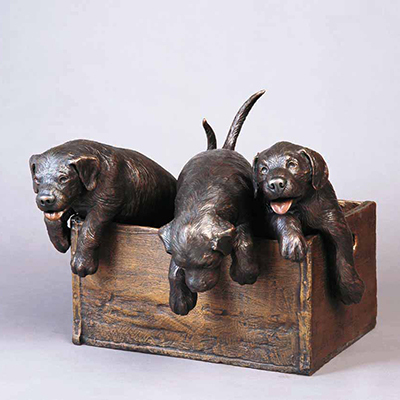 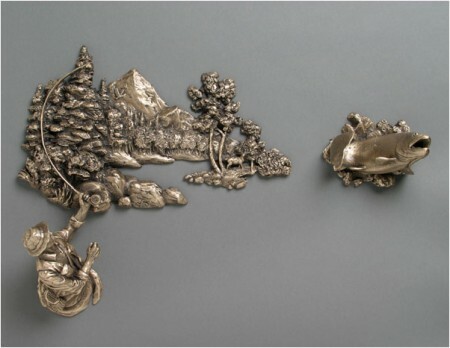 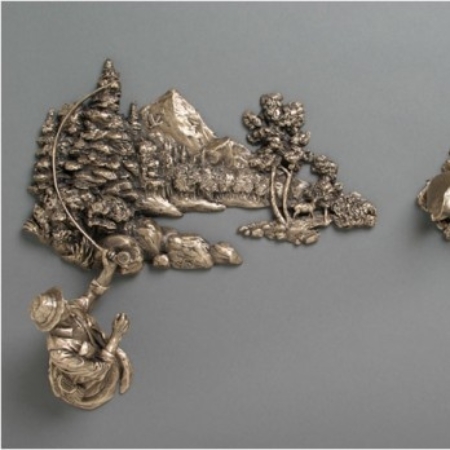 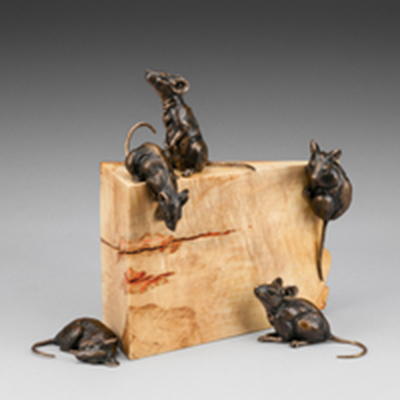 He began receiving further training from prominent and successful artists when he acquired a job as a metal chaser and point up artist at a fine art bronze foundry outside of Salt Lake City. 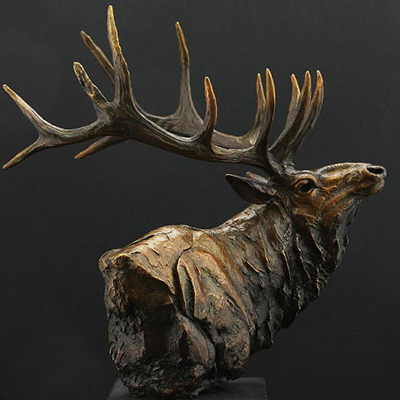 Soon, feeling confident in his abilities as a sculptor he began a new portfolio of all bronze work and within a short time he was receiving honors at local shows and art events. 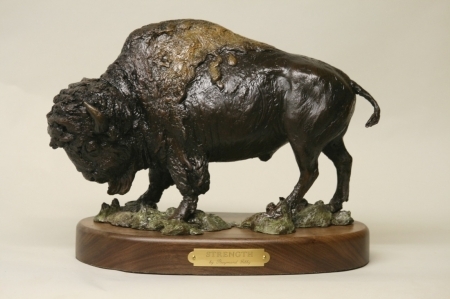 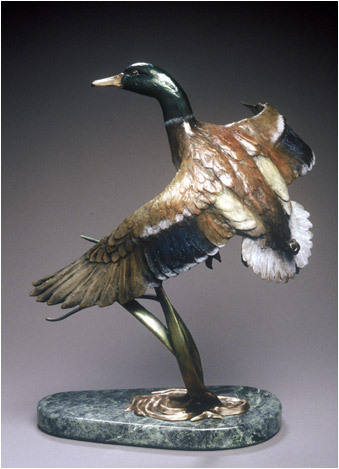 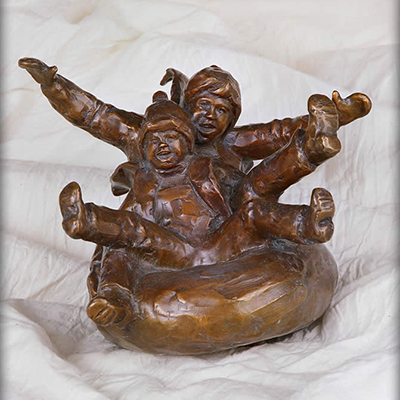 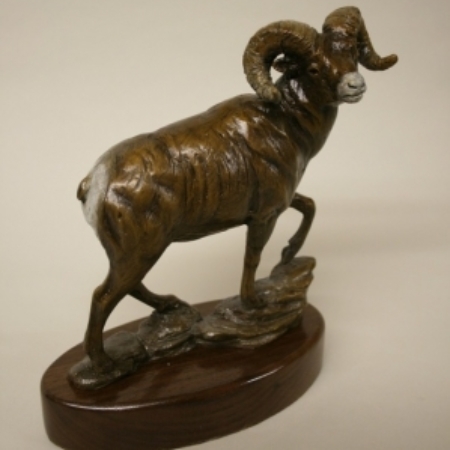 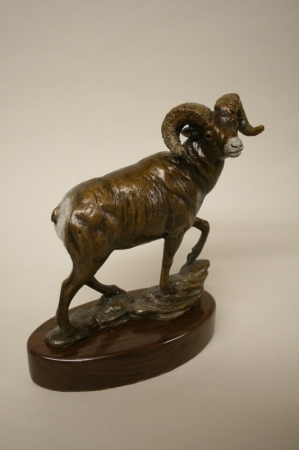 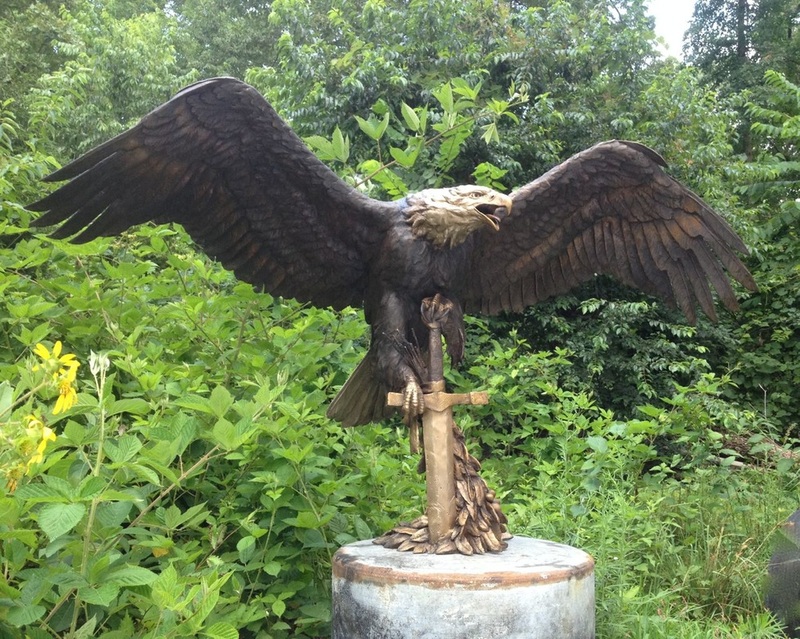 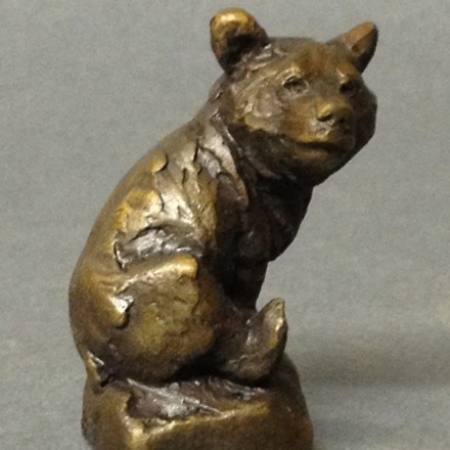 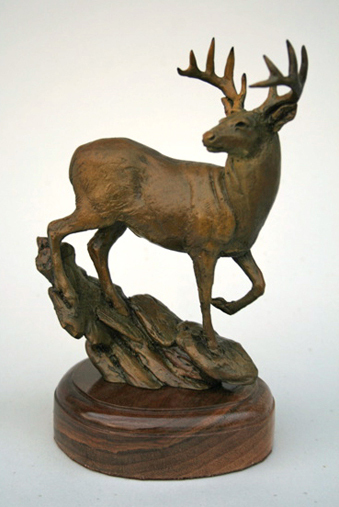 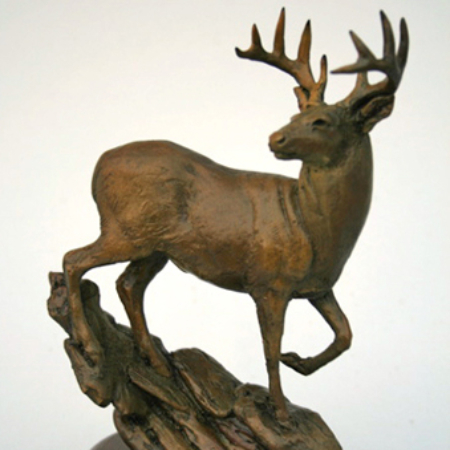 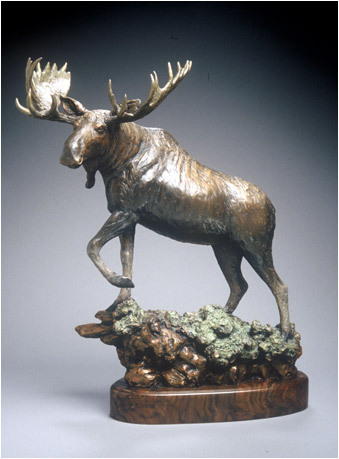 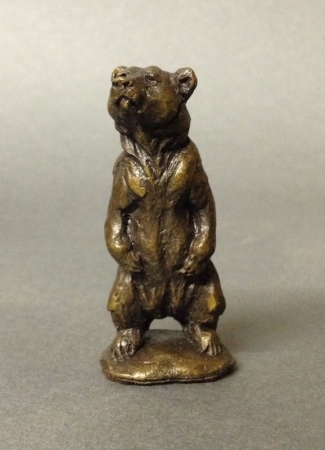 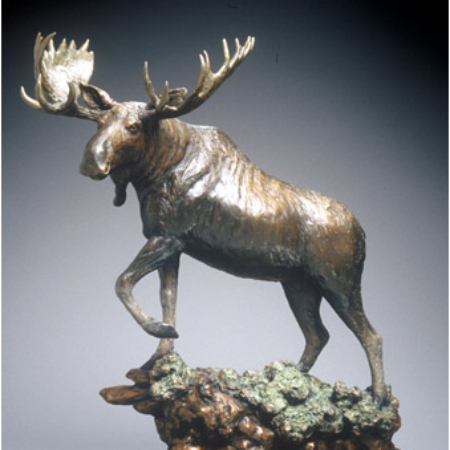 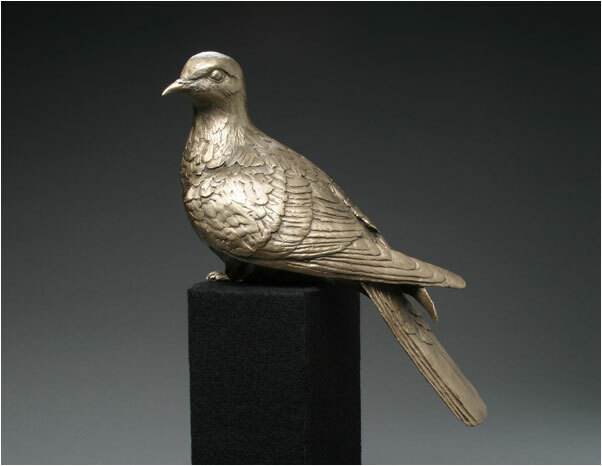 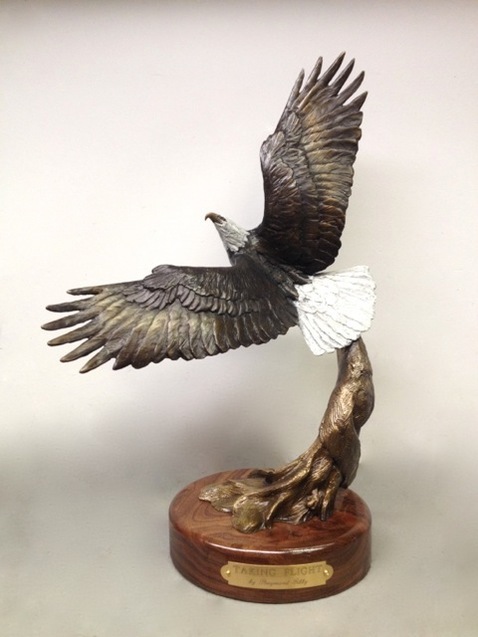 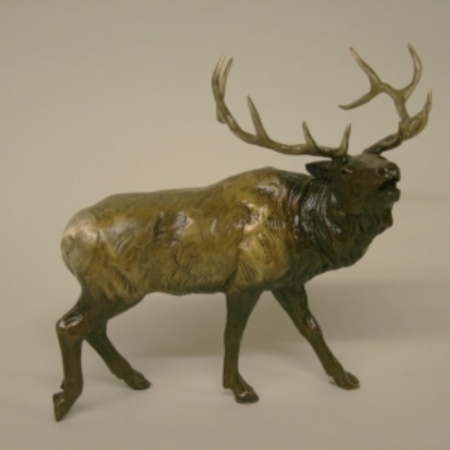 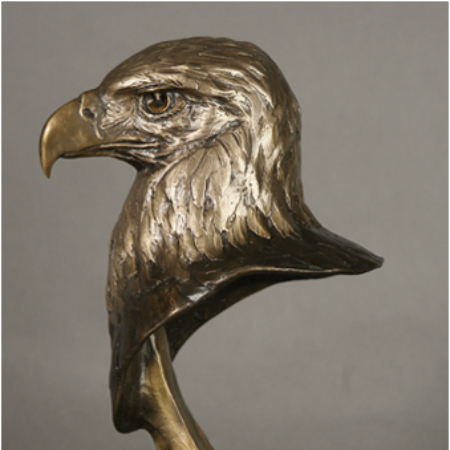 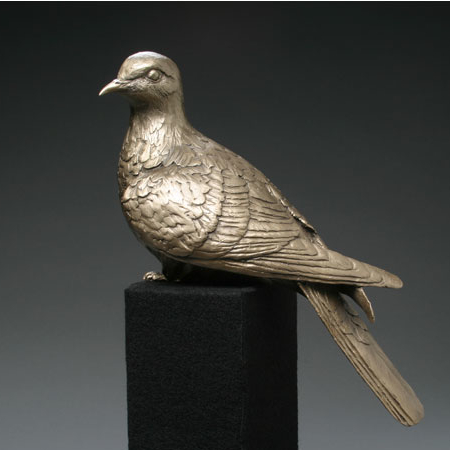 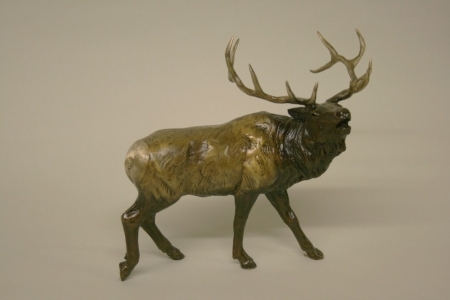 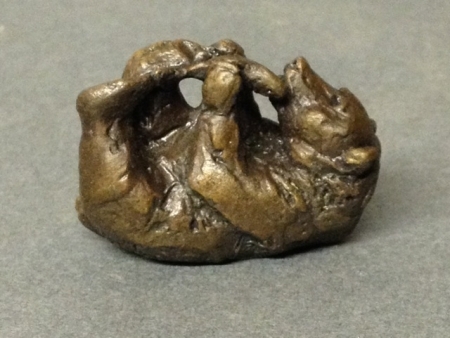 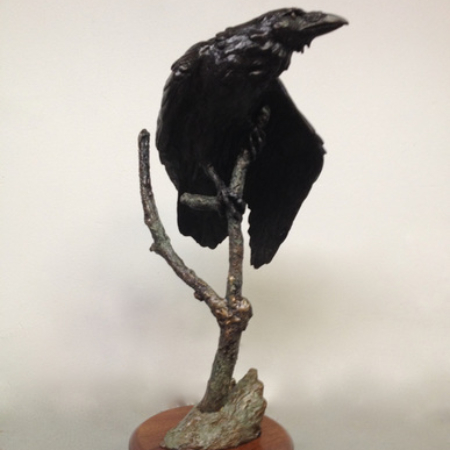 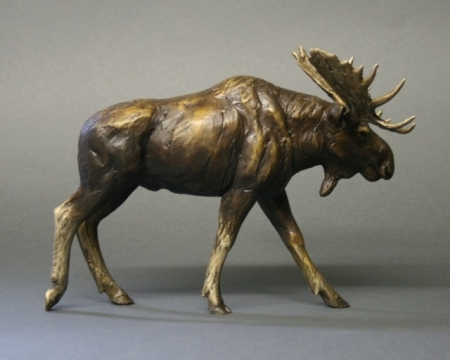 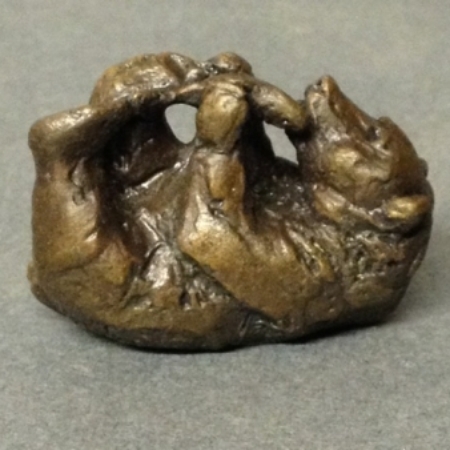 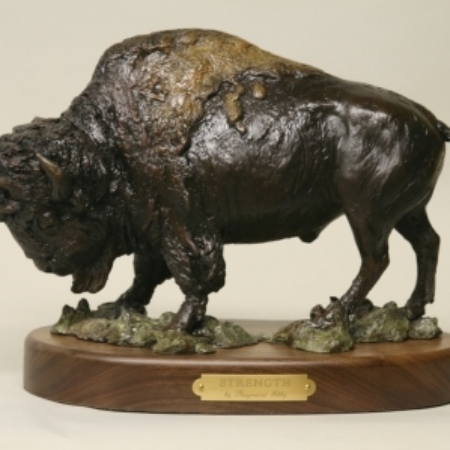 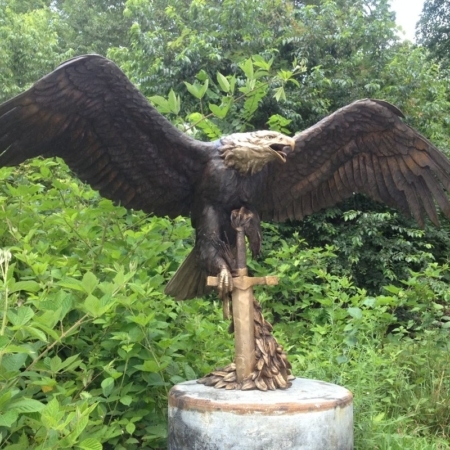 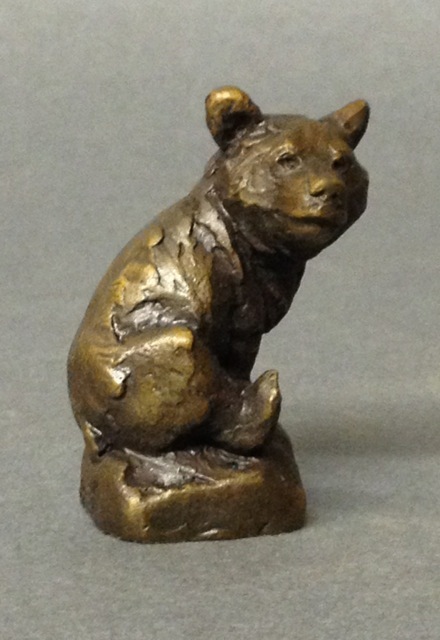 Gibby's first commissioned bronze came with being chosen to recreate the trophy used to honor recipients of the C.A.M.I.E. 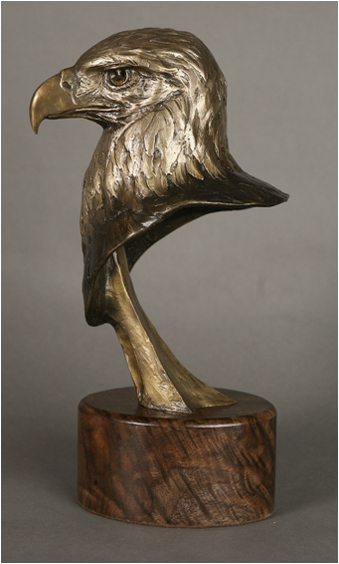 (Character And Morality In Entertainment) Movie Award. 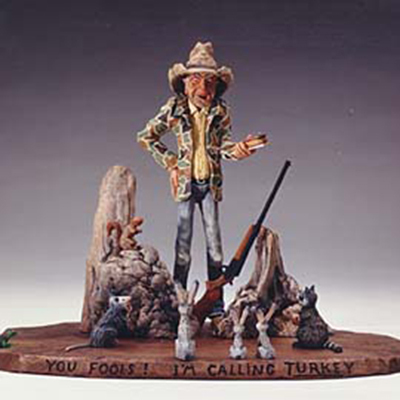 Some examples of C.A.M.I.E. 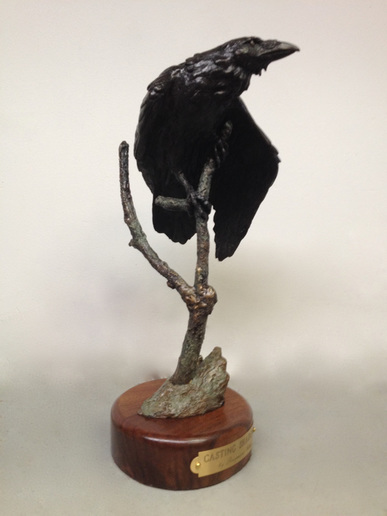 recipients include: the producers of the television series "Seventh Heaven," Disney Productions, actress Ann Hathaway, and the producers of the movie Radio. 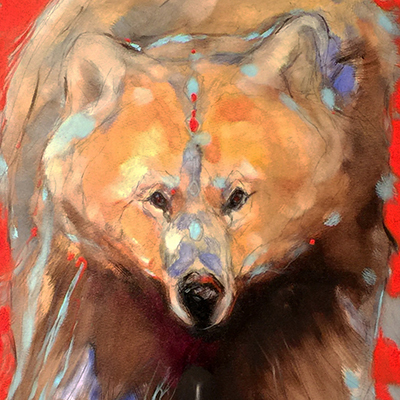 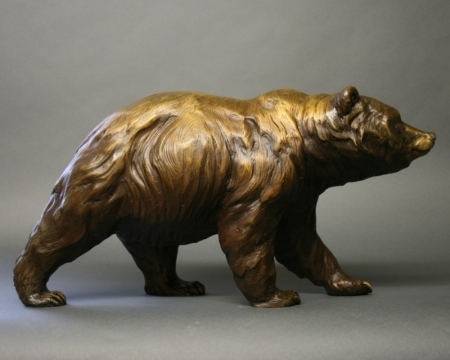 His most recent private commission was a four and a half foot grizzly bear, The Ambassador. 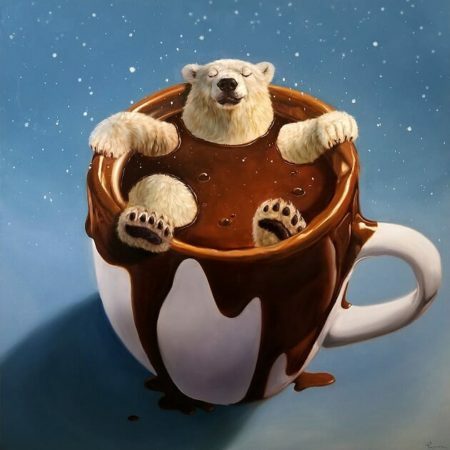 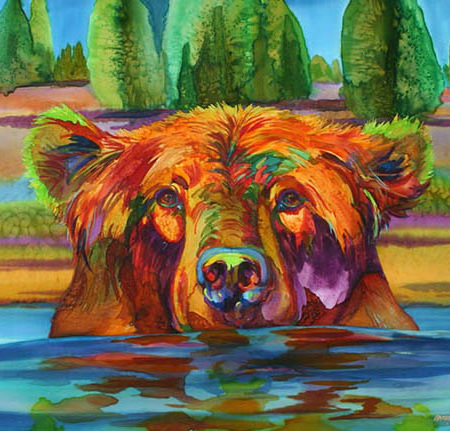 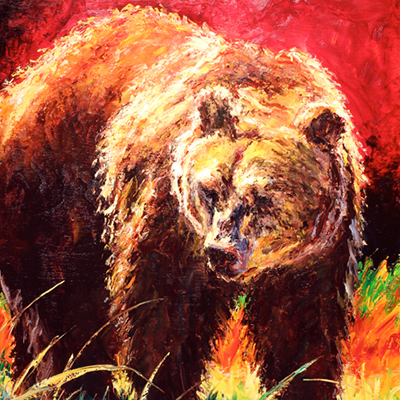 This piece was inspired by the movie bear "Bart the Bear". 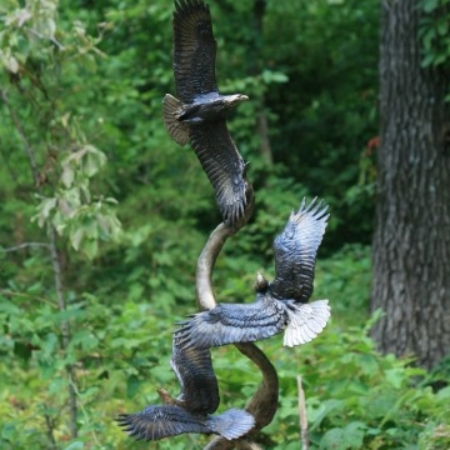 He has also created an eleven foot sculpture of two eagles soaring around one another entitled "Freedom to Soar", for the city of Irving, TX. 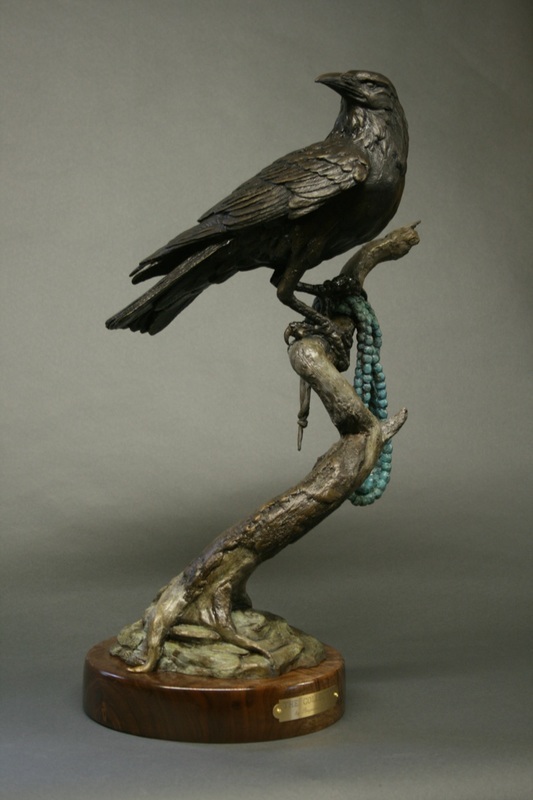 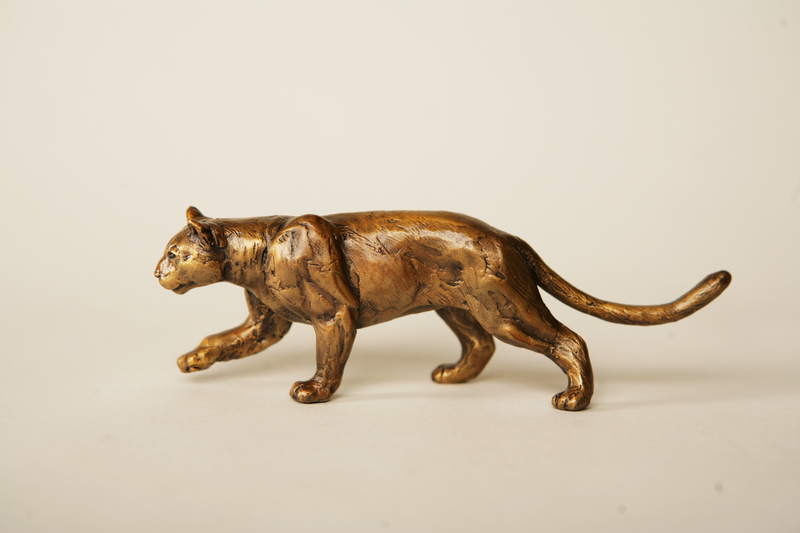 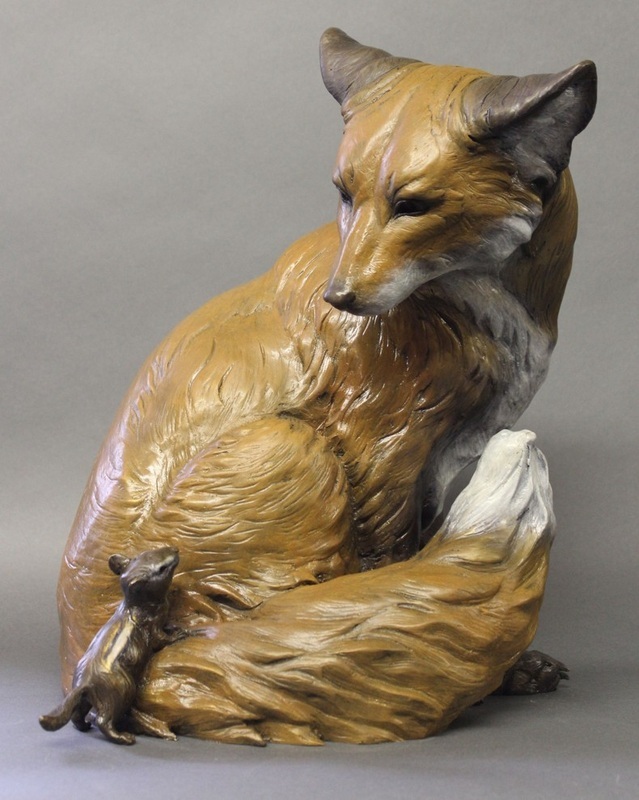 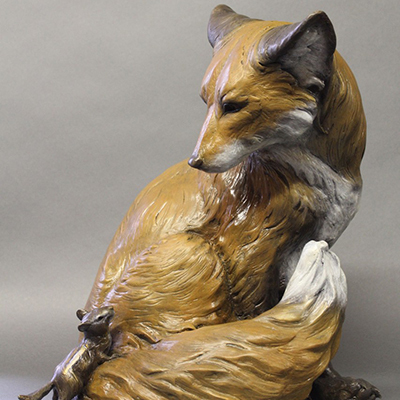 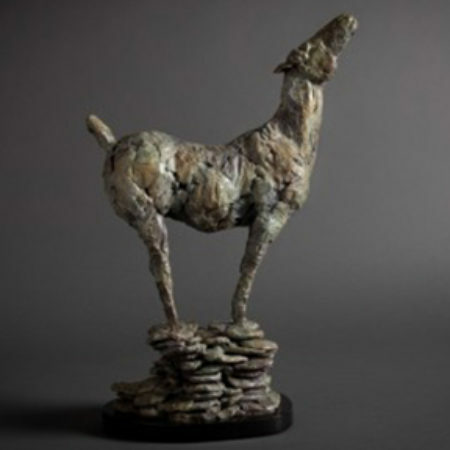 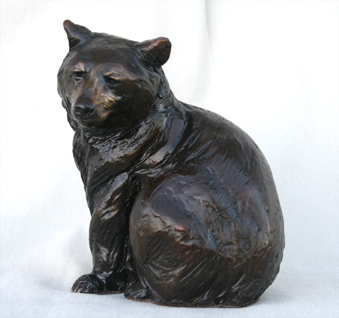 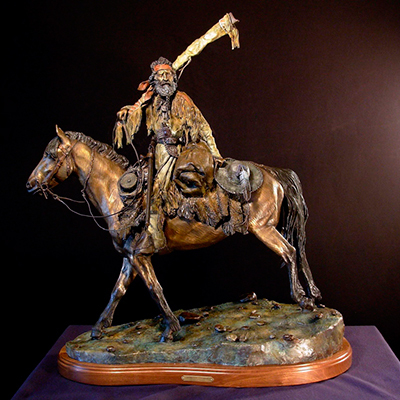 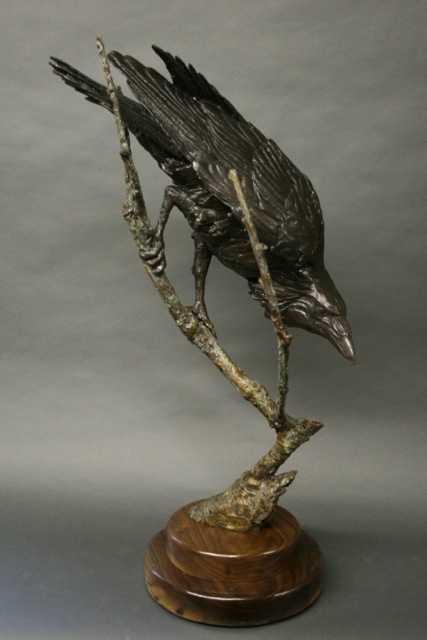 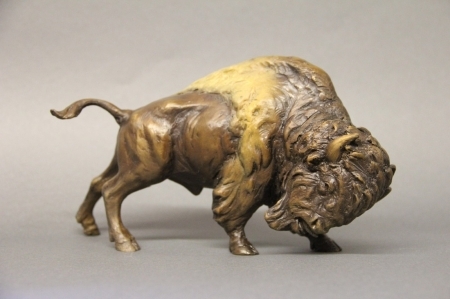 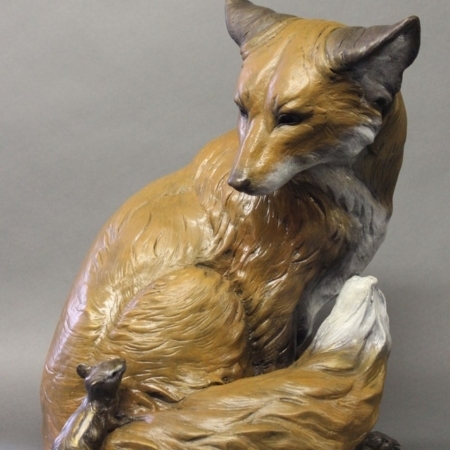 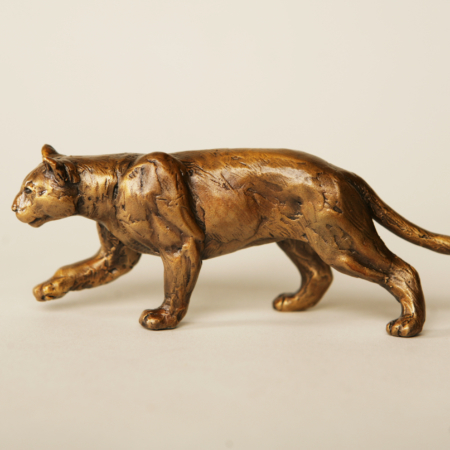 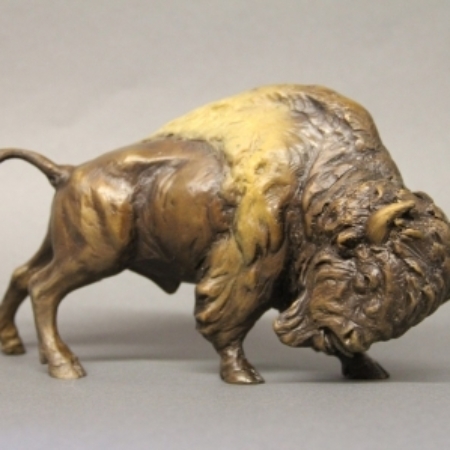 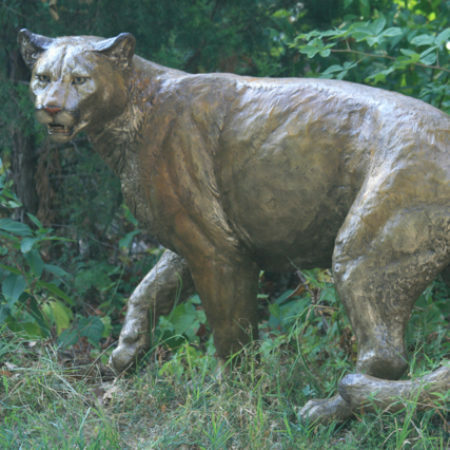 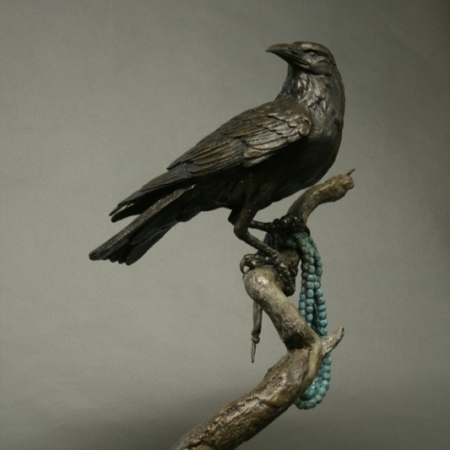 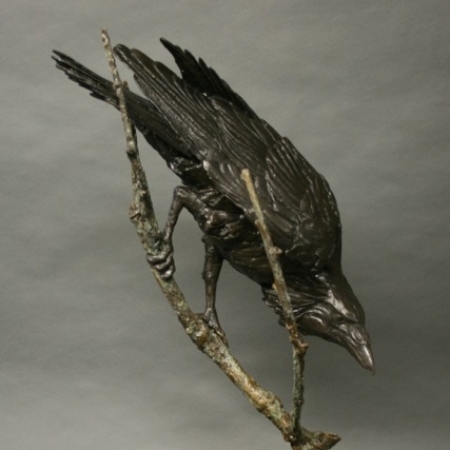 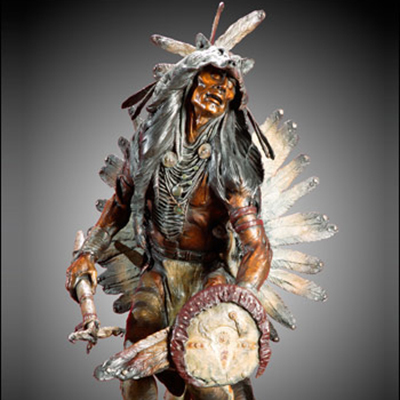 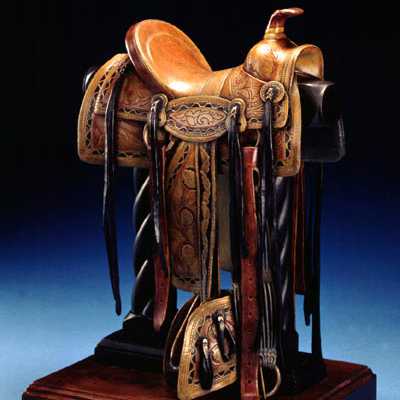 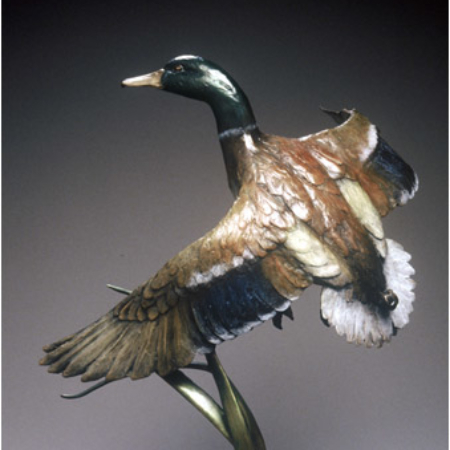 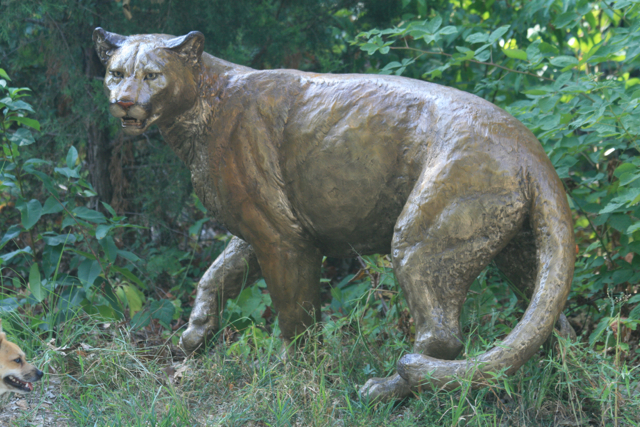 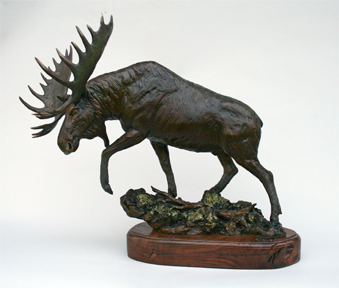 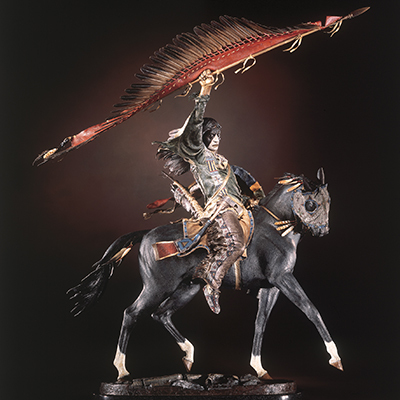 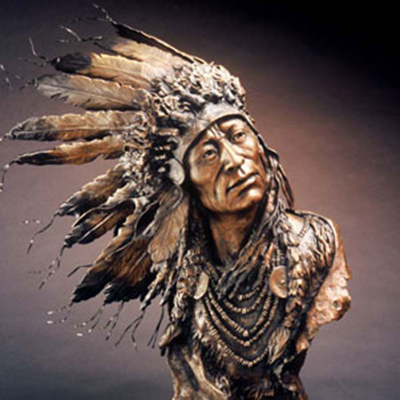 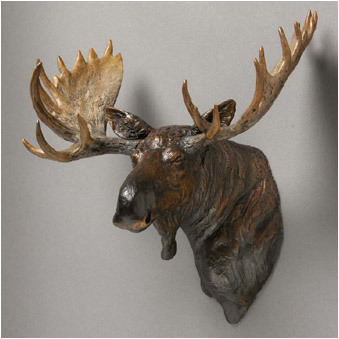 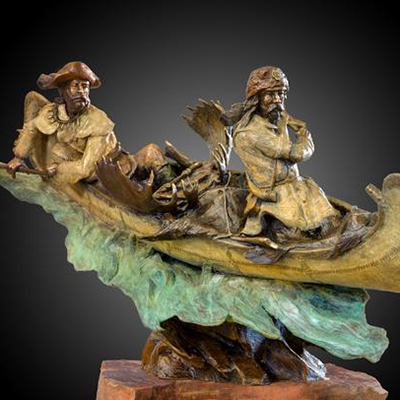 Raymond likes to sculpt North American wildlife and Old West themes, "As a child I dreamt about what it might have been like to have lived during the time when Mother Nature governed this part of the world and when those who inhabited it were her respectful subjects. 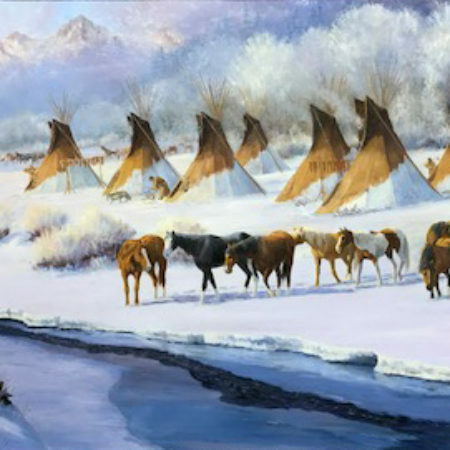 A community did not just include man, but also the wildlife surrounding it. 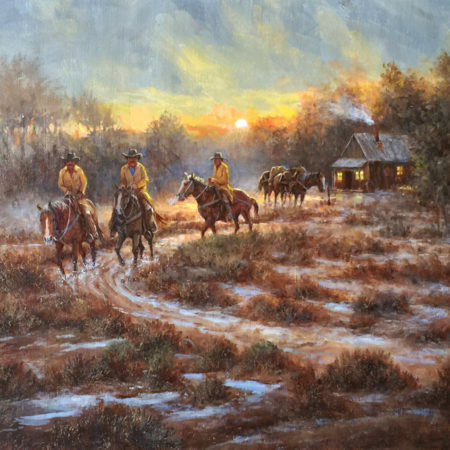 A person's greatness was determined by their bravery, honorable actions, and by how well they provided for their loved ones, not by the size of their pocket books or by what they could do to shock the media". 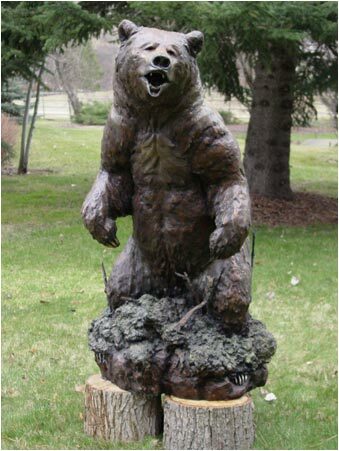 Gibby enjoys sculpting things that "cleanse the soul". 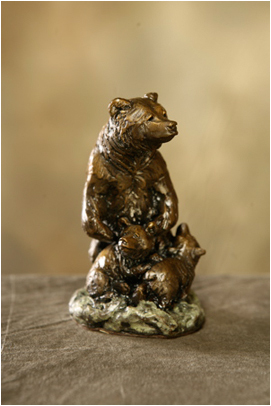 The animals that he sculpts represent character traits that he admires. 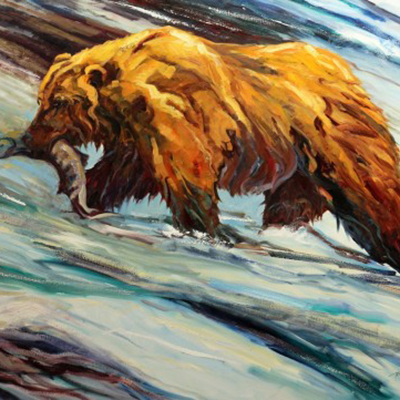 Even though he receives many requests that involve one of his favorite subjects, eagles, he also enjoys depicting mammals. 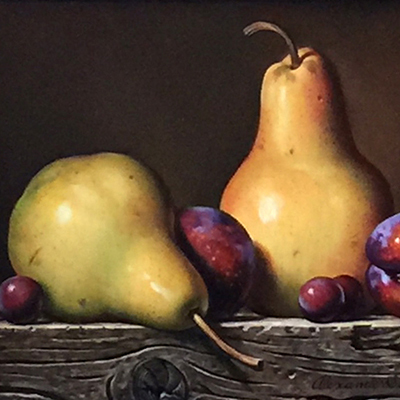 As of late, his focus has been in favor of figurative subject matter with the recent acquisition of some commissioned pieces. 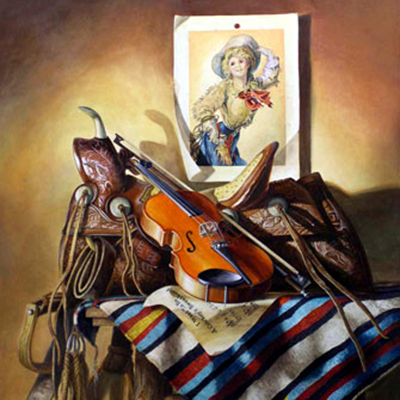 Many of his pieces represent a certain dignity. 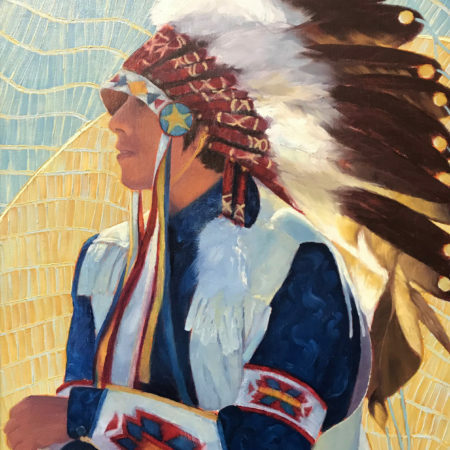 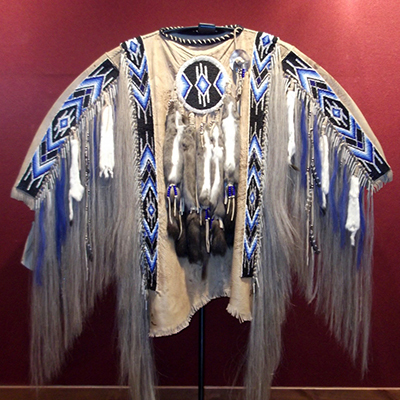 In the case of "Quiet Victories," which depicts the solemn yet proud face of a mature Jicarilla Apache woman, he hopes viewers will contemplate the reason for such a noble expression. 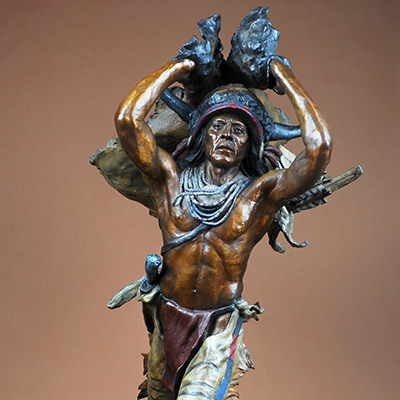 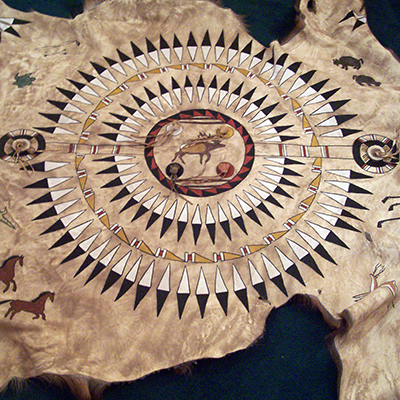 Other pieces represent a reserved strength and power such as in the case of his piece, "Undisputed." 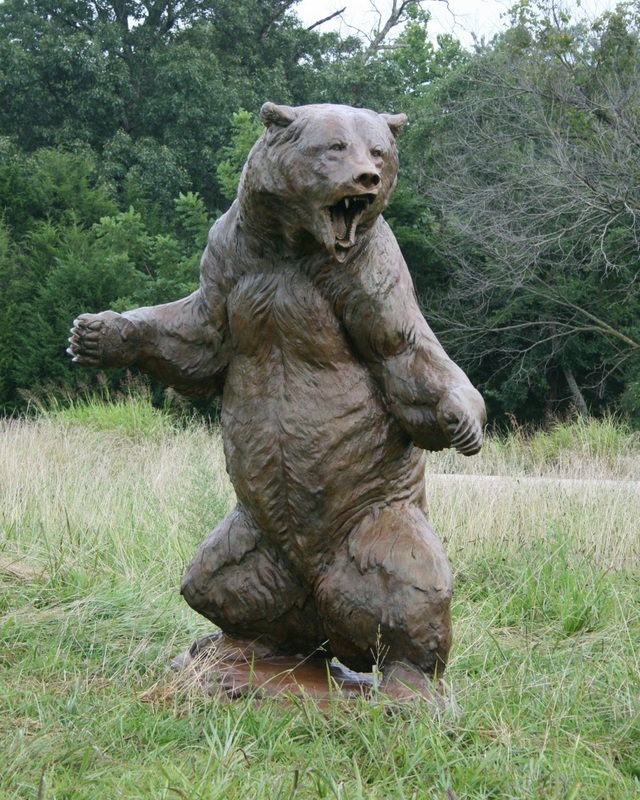 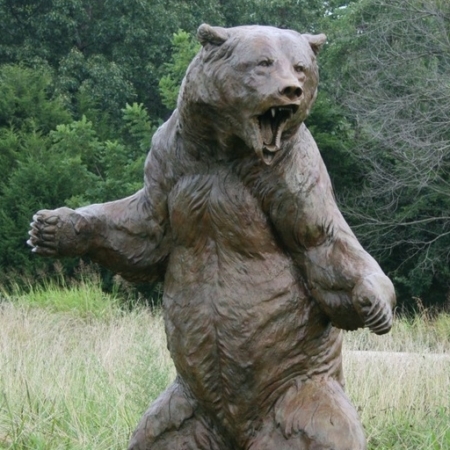 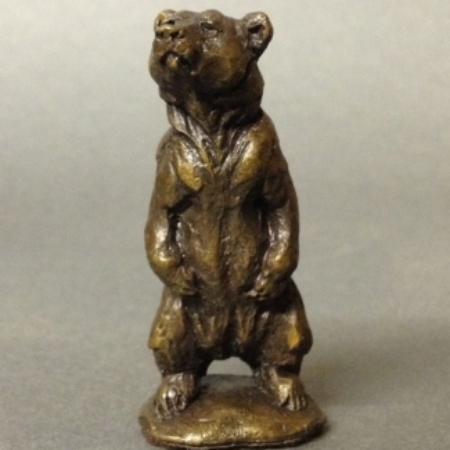 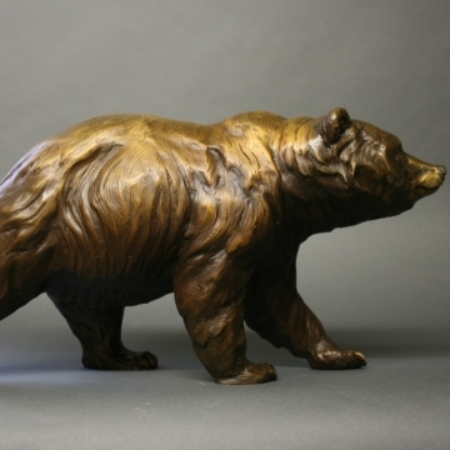 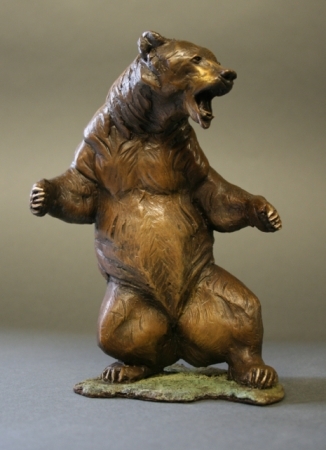 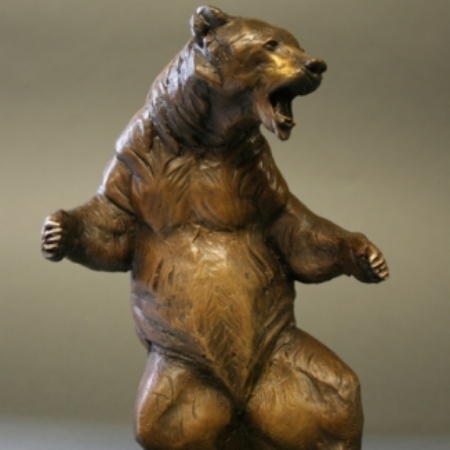 This sculpture depicts a fully grown, greatly muscled grizzly bear just simply walking. 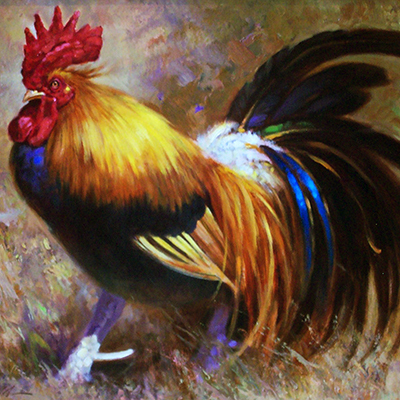 He has nothing to fear and nothing to dictate his course in life. 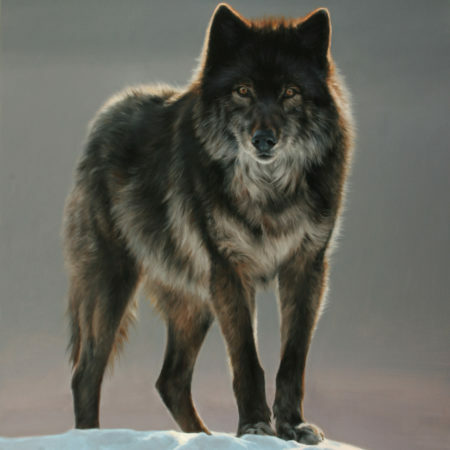 One could assume that due to his awesome power and capacity there are few things that threaten him. 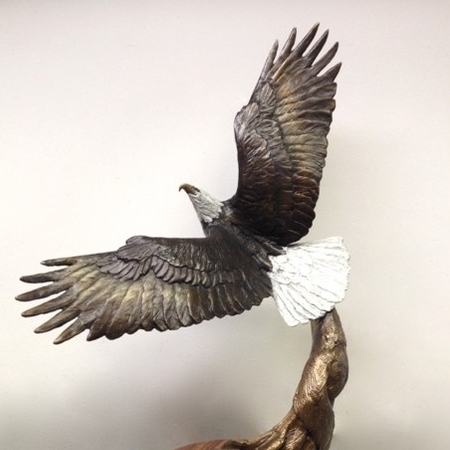 His eagles represent the ability to rise above the trials of life. 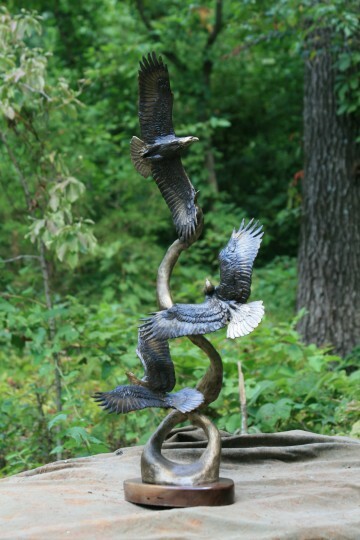 These eagles can get high enough to get a clearer view on their world and how they might make the best out of tough situations. 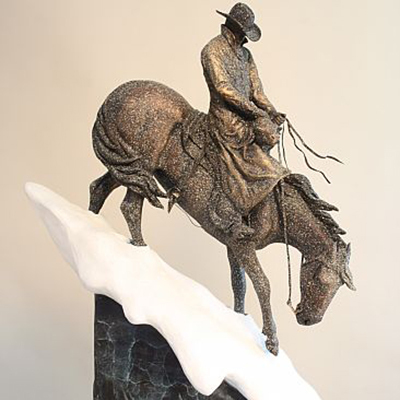 "Each of my sculptures has meaning to me. 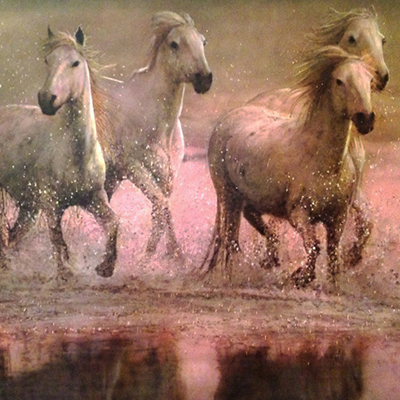 They are a symbol of what I admire. 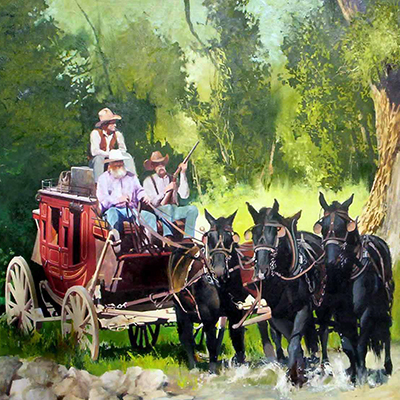 They are feelings or memories of my childhood. 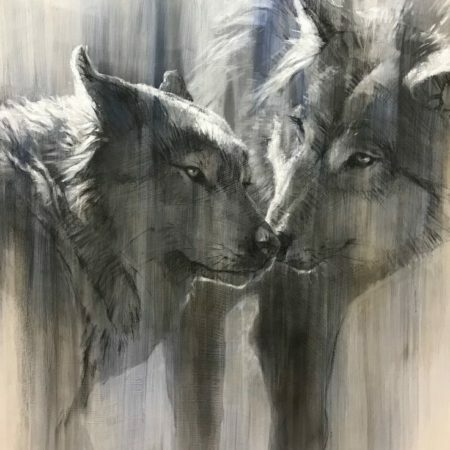 They are a reflection of what I love now. 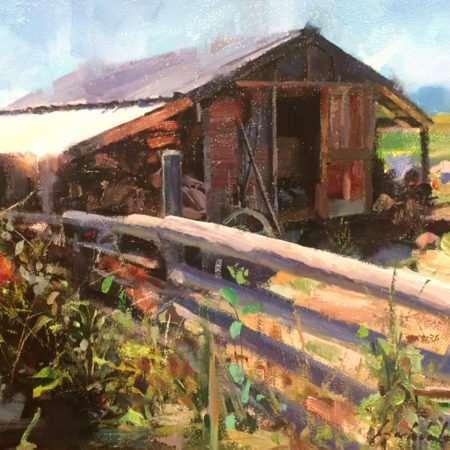 I try to minimize the amount of tooling I use to create a piece because I want my fingerprints to be left on the outside surfaces. 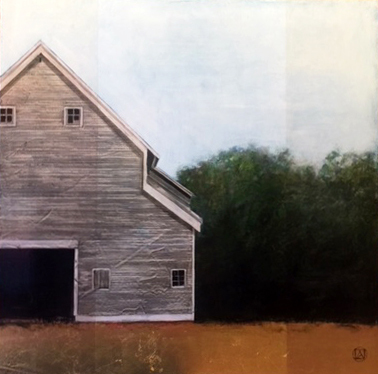 I want others to know that this work came from an actual person who cared enough about the subject matter that he could turn it into something tangible so as to allow someone else to enjoy its significance." 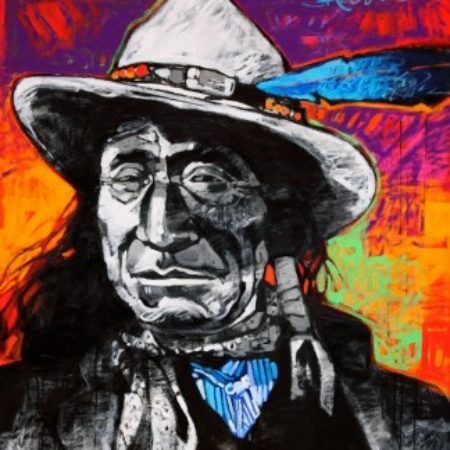 "My work is also a reflection of gratitude for the Great Creator of all things, who did not just provide for us the basic needs of survival, but gave us marvelously beautiful things to see, feel, touch, taste, and smell. 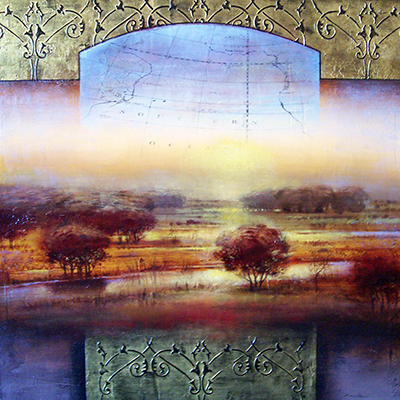 Beyond just keeping us alive, these sensory experiences allow our souls to be filled. 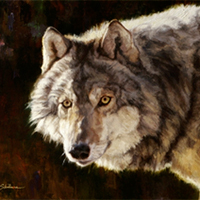 His creations are so magnificent that they permeate down into my soul. 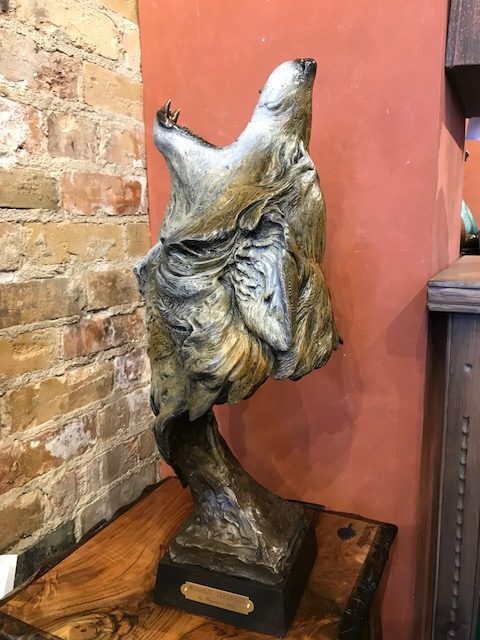 In short, when I sculpt, often the deeper meaning that governs me is, I think this creation is so wonderful that I would like to internalize it and then show others how it makes me feel. 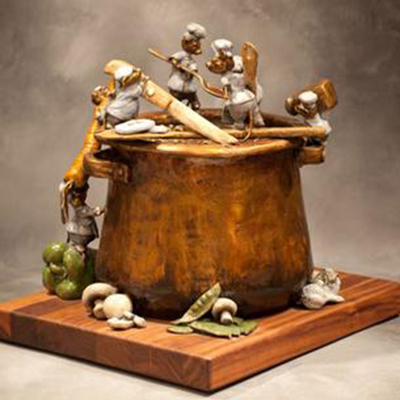 Sculpting is a way that I can say thank you for all I am fortunate enough to experience in my life." 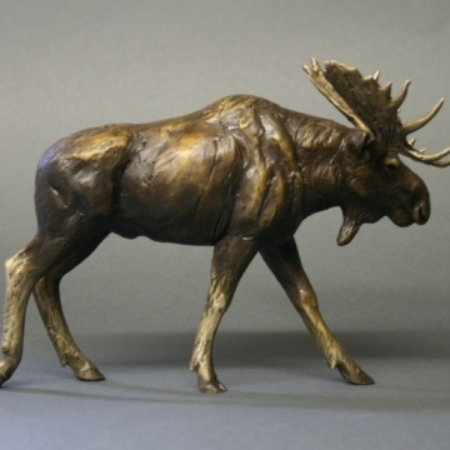 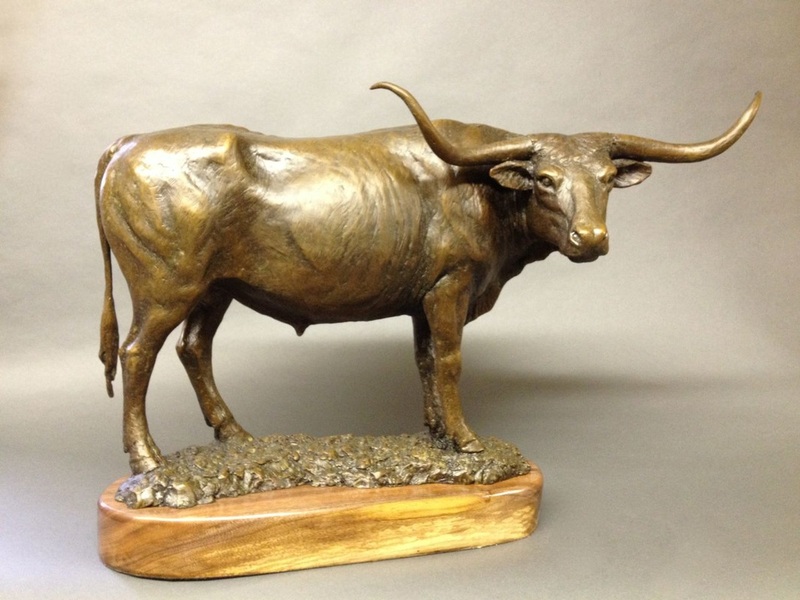 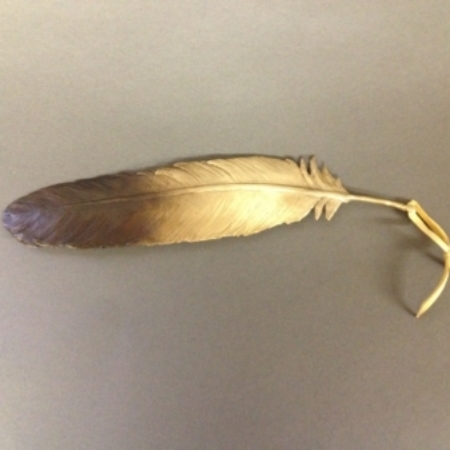 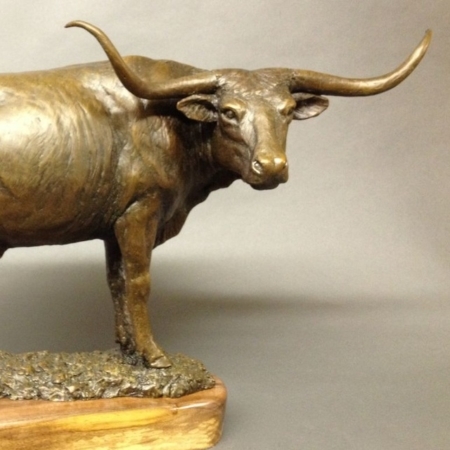 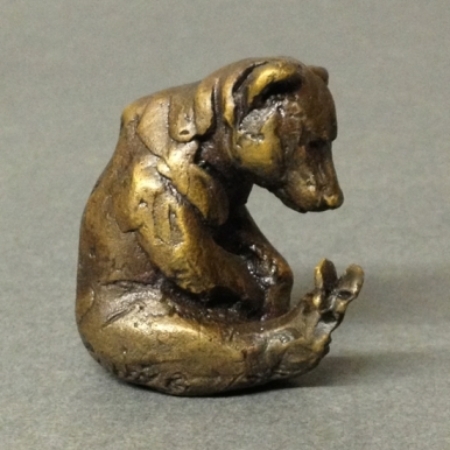 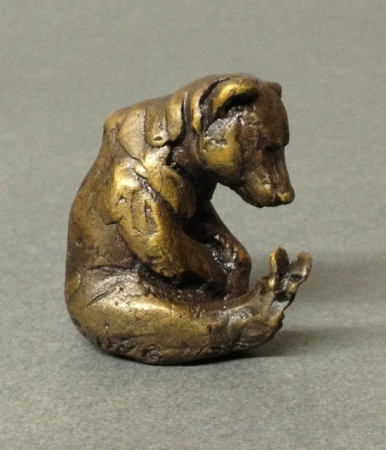 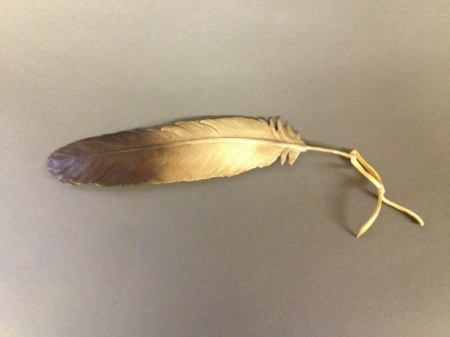 Raymond has been sculpting in bronze since 1999. 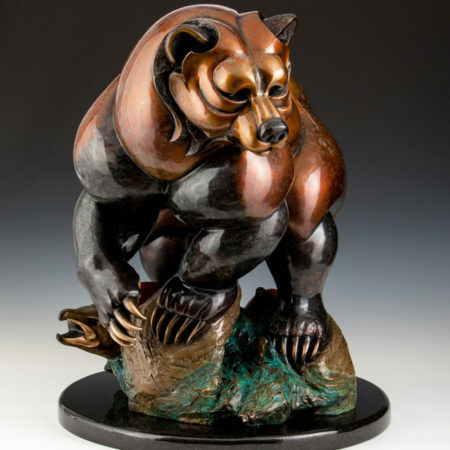 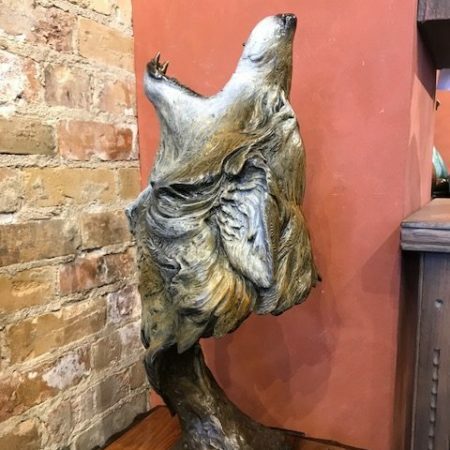 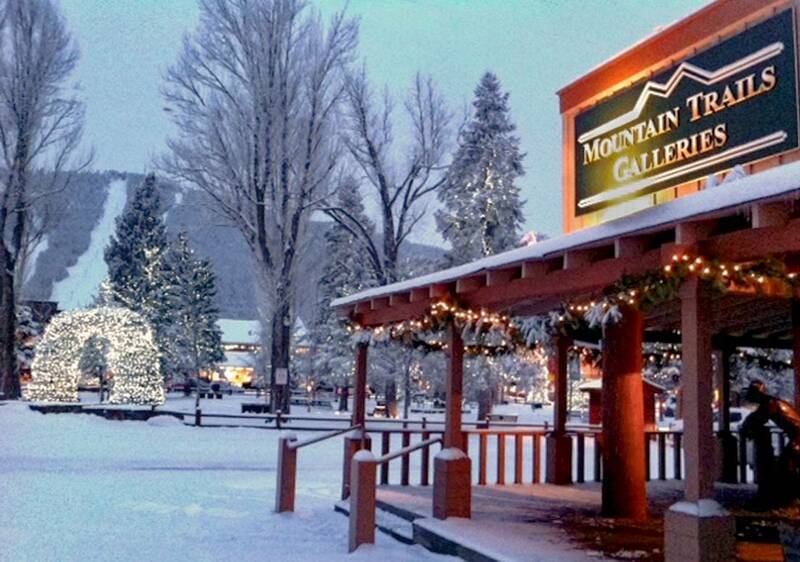 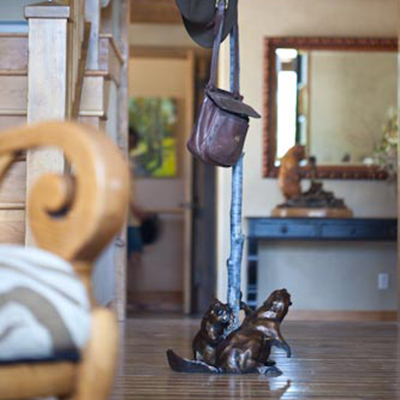 His pieces have been featured in Southwest Art Magazine, Wildlife Art Magazine, Sculptural Pursuit Magazine, The Loveland Sculpture Invitational in Loveland, CO and various other art events and shows across the United States. 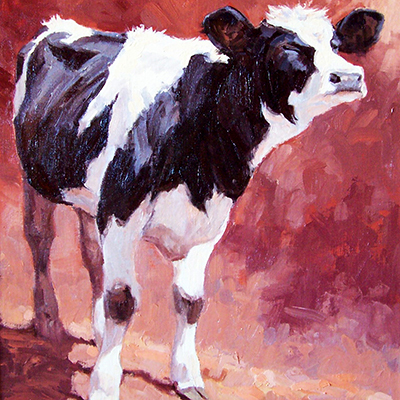 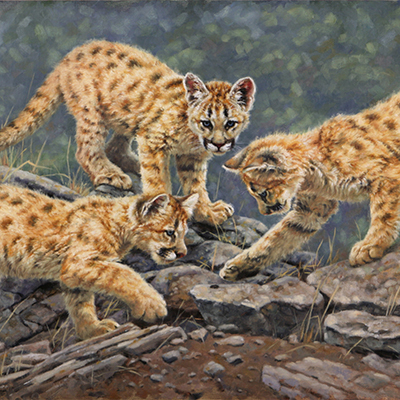 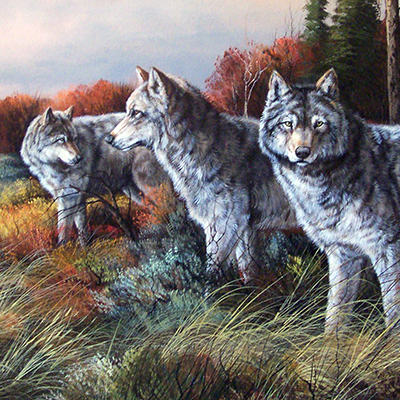 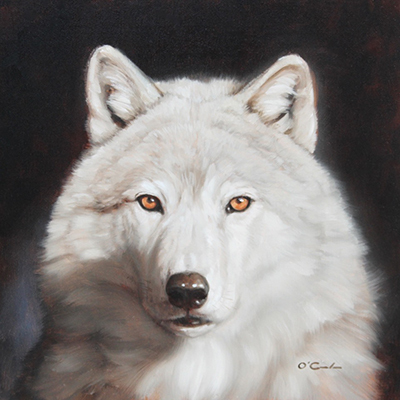 In the July/August 2006 issue Wildlife Art Magazine he was featured in an article as an "up and coming artist". 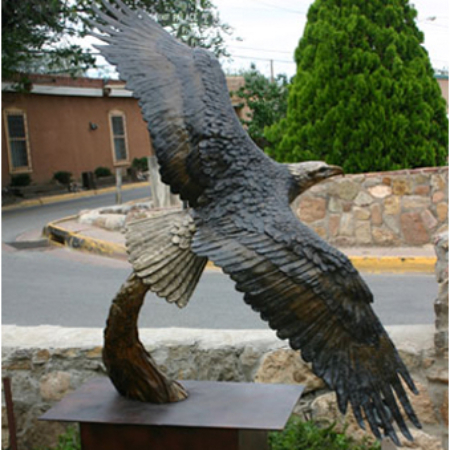 Notable commissions include City of Irving Texas; Bass Pro Shops, Missouri; Joe Gibbs Racing, North Carolina; Eldora Speedway, Ohio; Bentonville City Fire Department, Arkansas; Kenneth and Joanne Clinger, Utah; and C.A.M.I.E. 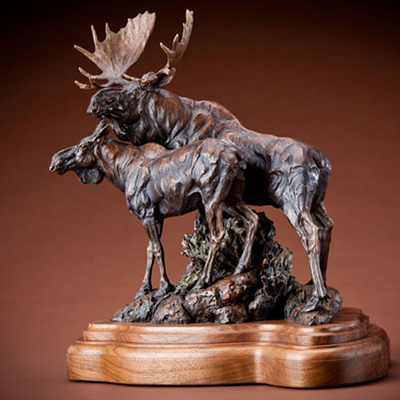 awards, Utah.